Meeting at the San Diego Zoo, the 100Kin10 network announced it has put more than 68,000 STEM educators into K-12 classrooms. 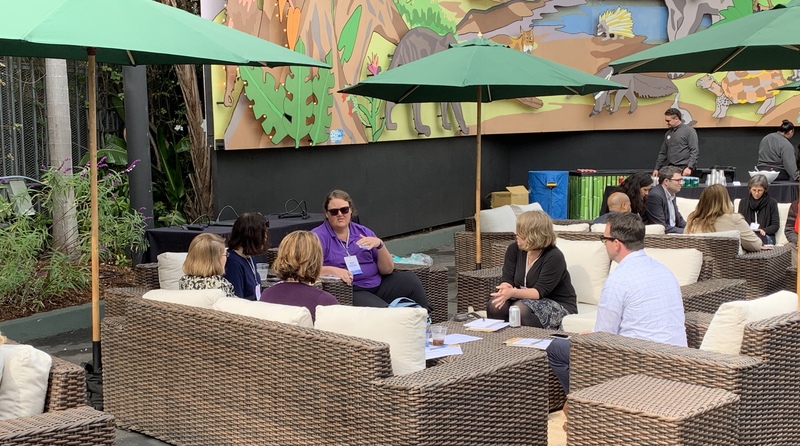 SAN DIEGO — School district administrators, teacher educators, foundation officials, and nonprofit and corporate leaders gathered at the San Diego Zoo Tuesday to further their collaborative efforts to prepare more STEM teachers for the nation’s classrooms. Participating in the 100Kin10 initiative’s annual summit, attendees shared their expertise and held discussions around “grand challenges,” such as teacher preparation and supporting teachers at the elementary level in teaching STEM content. The event also comes as 100Kin10 announced that its partner organizations have trained or certified more than 68,000 STEM teachers toward the goal of preparing 100,000 by 2021. Launched in 2011 and responding to a call former President Barack Obama issued in that year’s State of the Union address, the network began with 28 partner organizations and grew to 280 by 2016. This year, however, the organization will go through a new phase of accepting nominations and choosing partners. Talia Milgrom-Elcott, co-founder and executive director, described the work as climbing a mountain and thinking you’ve reached the top only to see that the top is farther ahead. In HCPS, for example, Plank said he has learned that “workplace conditions look different for a STEM teacher” and can include feeling supported by administrators for incorporating STEM into the early grades and having the resources to get students out of the classroom for field trip experiences. 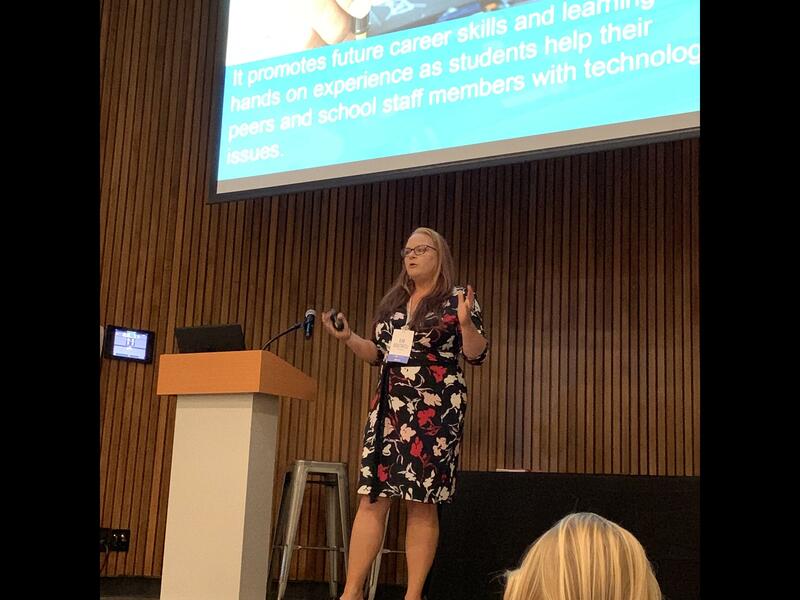 Having a mentor with STEM expertise can also increase a teacher’s effectiveness during the early years of his or her career, said Jenny Hicks, director of K-12 STEM Engagement as part of the Indiana STEM Initiative. Hicks works with 11 school districts to select teacher leaders as mentors for novice teachers at the K-8 level. After three years of the program, she’s found that students in the classes who have a mentee teacher perform academically as if they had a more experienced teacher. Participants met in small groups throughout the day. In a session on cross-sector collaboration, presenters described some of the projects that have emerged through the connections they’ve made through the initiative. “You are probably going to meet somebody who is going to change the trajectory of what you’re doing. Go with it,” said Kim Boutwell, a former classroom teacher who now works with Dell Giving, the corporate and social responsibility arm of Dell. Kim Boutwell of Dell Giving described her chance meeting with an astronaut's wife. Boutwell was in the process of developing a program that trains students to fix Dell laptops at their schools “because kids break things” when she met Nancy Conrad, who founded the Conrad Foundation after her late husband Charles “Pete” Conrad, the third astronaut to walk on the moon. Conrad encouraged Boutwell not to make the program boring for students and suggested she incorporate the foundation’s No Box Toolbox — a global problem-solving curriculum — into her idea. So now, in addition to being trained to order and replace computer parts, students in the Dell Student TechCrew program now work in teams to learn entrepreneurial skills. The program is spread among schools using Dell products. Organizations such as Washington STEM, a statewide nonprofit, work at a “higher level” to collect and analyze student achievement and labor market data as a way to advocate for STEM educators, said Megan Nadan, special events manager. But it’s the young adults who participate in the organization’s Super Youth Advocate program that are best able to engage with policymakers and students still in the classroom who might not yet be thinking of a career path. “Having them be the advocate and the voice and allowing them to make that connection back down to students” has been a powerful way to communicate what a successful STEM pathway looks like for a student, Nadan said. During the event, an attendee asked how to connect with businesses if a relationship with the school doesn’t already exist. “We meet people where they are, just like what we ask educators to do with their students and administrators to do with their teachers,” responded Jessica Howard, the director of STEAM initiatives for the Californians Dedicated to Education Foundation, which convenes an annual STEAM symposium that has now grown to include participants outside the state. As an example, she highlighted the Anaheim Ducks NHL hockey team, which has revamped its education outreach program to focus more specifically on the Next Generation Science Standards. Reaching out to grantmaker associations, local civic leadership programs and even parents with students in the school were some of the suggestions that came from others in the session. Likewise, another attendee recommended that schools begin to look at the businesses that market to schools in a new way.